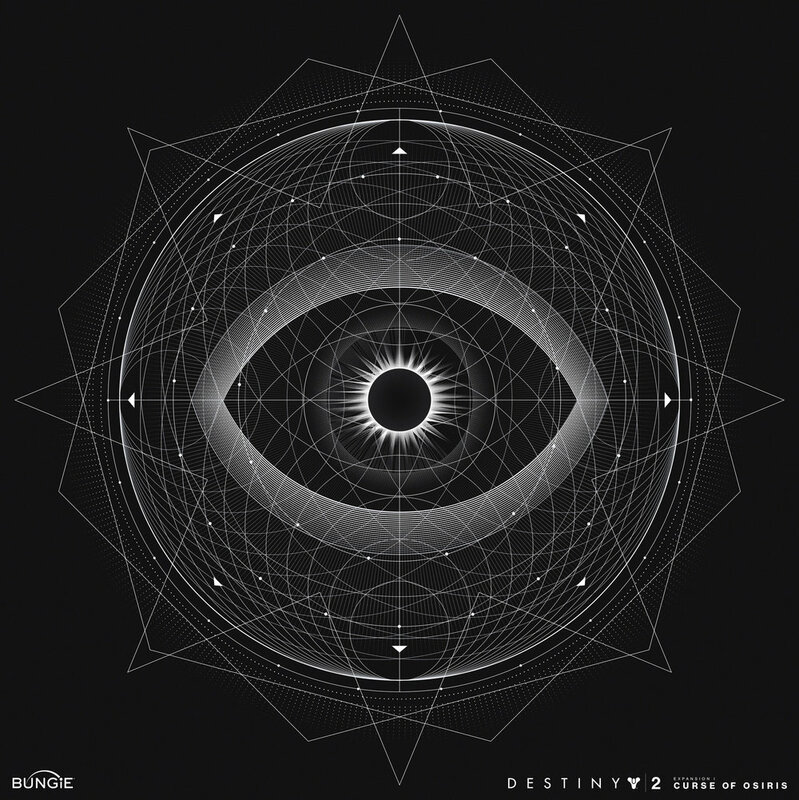 I had the opportunity to create a radial for the Destiny 2: Curse of Osiris DLC. 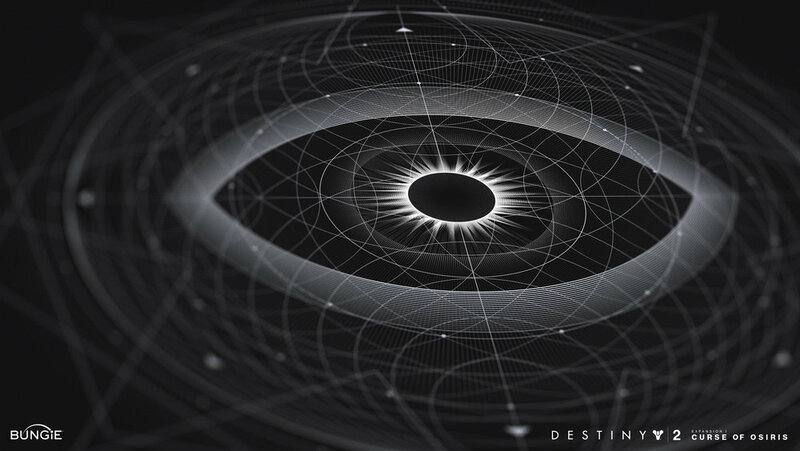 In Destiny radials serve as underlying textures and focusing elements in a layout and are meant to be used very large, as background texture, and not as a graphic by itself. This specific radial was used on various title/end cards as well a motion graphics in videos. 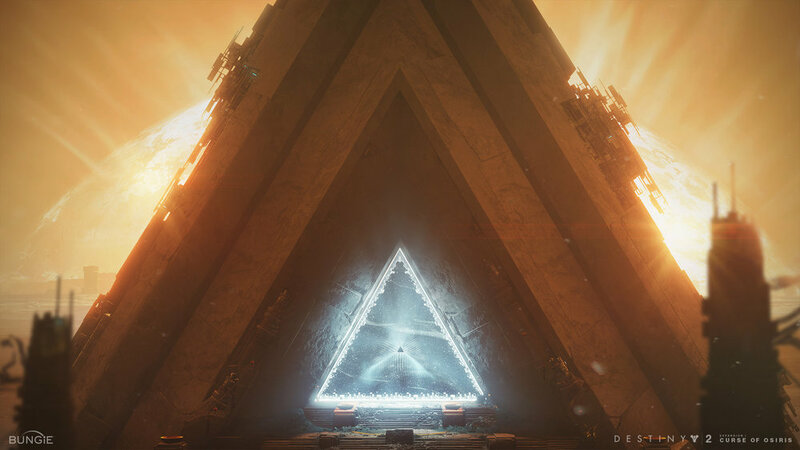 I had the opportunity to create secondary Keyart for the Destiny 2: Curse of Osiris DLC utilizing in-game assets. 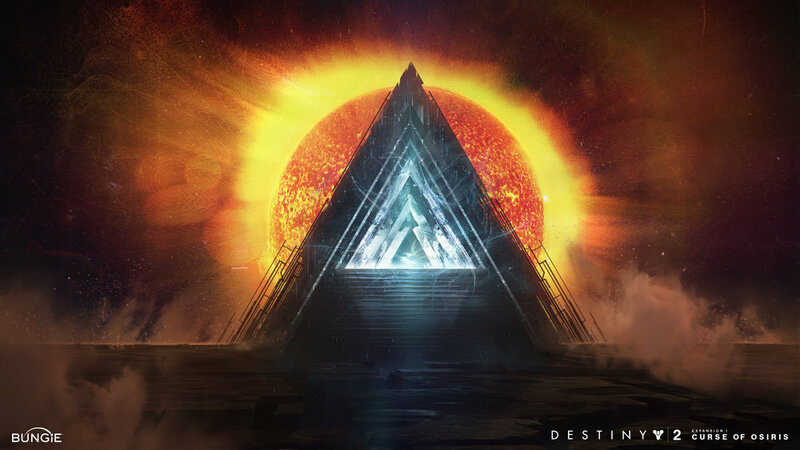 I had the opportunity to work on an early concept of the Vex Gateway, featured in the Destiny 2: Curse of Osiris DLC, for a title card concept. I worked directly with Garrett Morlan, who is responsible for the sun and background.